Barnes & Noble College is proud to announce it has partnered with Cayuga Community College to operate its Auburn and Fulton campus bookstores, bringing both campuses – “what’s next” in college bookstore retailing. In-store and online textbook rentals – Students will have the option of getting rentals either online or in the bookstore. 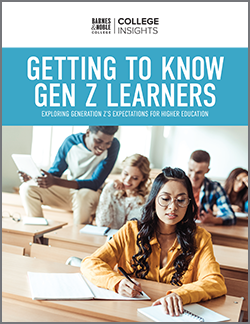 Students opting for textbook rentals will save more than 50 percent over the cost of a new printed book and can pay for rental fees by using cash, credit, or student financial aid. Cayuga Community College, formerly Cayuga County Community College, is one of 64 institutions that make up the State University of New York (SUNY) system. 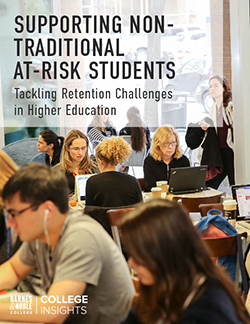 As a two year, liberal arts community college, it provides an “affordable gateway” to higher education, offering courses and degree programs at two campuses as well as online. 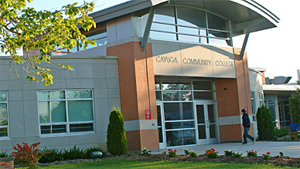 Serving approximately 4,000 full-time and part-time students, Cayuga Community College is committed to serving both Cayuga and Oswego Counties at both their Auburn and Fulton campuses, offering flexible programs which include weekday, evening, and Sunday classes, online courses, and the option to take courses at both campuses. Cayuga offers over 150 credit-free courses for leisure learning, career training, business services, online learning, professional development for teachers, and adult education. These courses range from academic preparation, first aid & CPR, to cooking & Wine studies, and online defensive driving. Cayuga Community College is one of 69 higher educational institutions that Barnes & Noble College operates in the state of New York, including Buffalo State College, Columbia University, Rochester Institute of Technology and the University of Rochester.